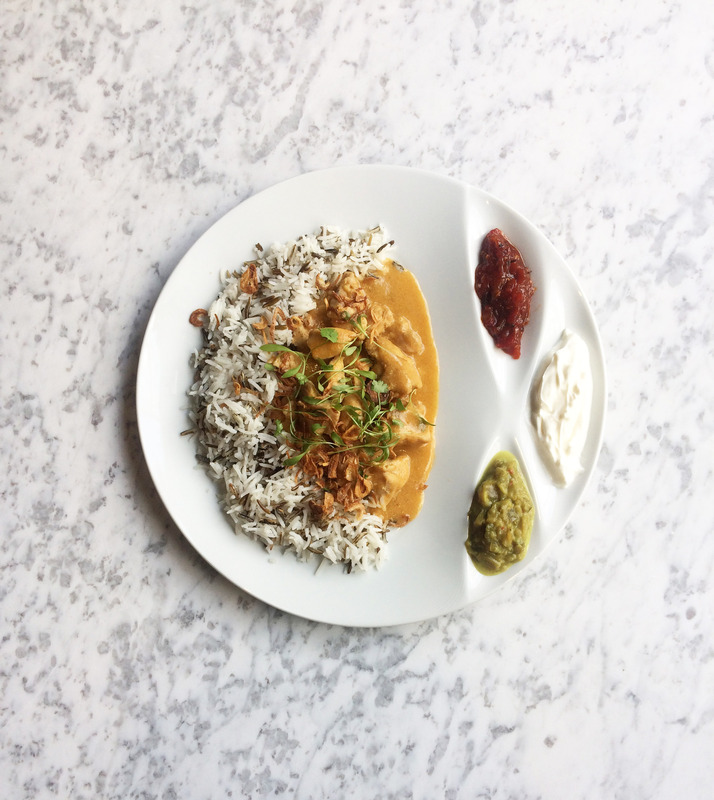 A dish to keep you warm this Autumn, Century Norfolk black chicken curry with basmati & wild rice. This recipe was created by Balou, one of our amazing chefs here at Century and it takes its roots from Balou’s Sri Lankan heritage. In Sri Lanka, Balou would start by making the coconut milk using fresh coconut flesh that he crushes with water and drains by hand, before making his own tamarind paste. However, this is London and we’re all very busy, so we’ll let you use shop bought. 3 small green chillies (3/4 cm) or more if you dare! Cut the black chicken legs in 3 to 4 cm pieces and season on both sides with salt and pepper. Pan fry the chicken legs on a high heat with a little vegetable oil for two minutes, reduce the heat and flip them and cook for a further 2/3 minutes. Add the onion for a couple of minutes, add the crushed garlic, chopped green chilli and crushed cardamom pods. Cut the cauliflower (butternut squash or potato also work fine) into chunks and steam for 10 minutes. Add 200ml hot water, followed by a pinch of sugar, curry leaves and grated fresh turmeric and stir and cover for 10 minutes over a low heat. Add half of the coconut milk and bring to the boil, adjust seasoning and heat and cook for a further 15 minutes. Add the cauliflower and cook in the curry base until nearly done, add the remaining coconut milk and rectify the seasoning, let it rest for 5/10 minutes before you serve. Serve with basmati & wild rice cooked with black cardamom, a cinnamon stick and a little ghee , sprinkle with fresh coriander and crispy onion.